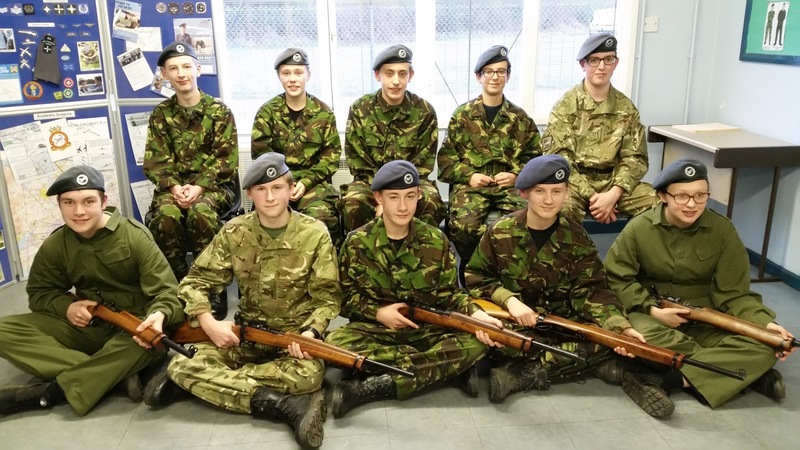 On Saturday 6th February, 10 cadets from 84 (Coventry Airport) and 198 (Hinckley) Squadron came together to undertake their first ever weapons training by completing the No 8 rifle syllabus. After practicing the required safety and firing drills they all took a rigorous weapons handling test to test their skills. Initial Weapons Training is certainly not an easy task to undertake and requires a mature and physically strong cadet to not only understand the safety precautions, the technical details but also maintain a strong and stable position in which hold and carry the weapon. Cadets are taught the workings of the weapon system including how to strip and reassemble component parts as well as the required cleaning protocols for each part. This comes together once the different rates of fire are put into practice, using 'dummy' rounds in the classroom environment to give a sense of realism whilst keeping the training safe and under control. The test consists of safety elements, questions on cleaning and practical skills to demonstrate their understanding of routine and the unexpected situations which could occur when live firing. The Skill-At-Arms trainers Flight Sergeant Nick Raske from 198 Squadron and Flying Officer Rosie Chapman of 84 Squadron were both suitably impressed with the group who took the training in their stride and seemed to pick up the required information quickly. The proof was in the pudding when all bar one passed their tests later in the afternoon and with a little extra coaching and upper arm-strength to hold the weapon the final candidate will also pass in the near future. 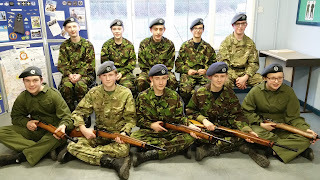 Now the cadets can look forward to putting their new skills into action by taking part in a Live Fire Marksmanship training session at a local indoor range. Here they will learn how to put the marksmanship principles into practice and fire for the first time at a range of different targets.